As the massive Lancaster looms majestically over them, the ever vigilant ground crew begin the task of preparing ‘their’ aircraft for the coming night’s operation. Checking, repairing and double-checking again, making sure that nothing goes wrong on the next trip, nothing that could endanger the lives of the crew who depend on them. It will be a race against time. 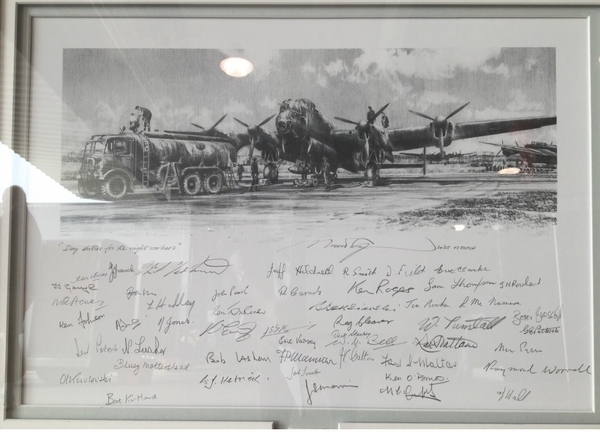 Robert Taylor’s magnificent new drawing, signed by distinguished aircrew who flew with Bomber Command during World War II, pays tribute to all the bomber crews who, night after night when the island fortress of Britain stood facing uncertainty, resolutely carried the fight to the enemy, delivering their deadly payloads deep in the heart of Germany.